DLF is pleased to announce the recipients of its 2018 Forum Fellowship awards. These individuals, both from DLF member institutions and the wider GLAM community, show great dedication to their work and the field of digital libraries, and share in our community’s common goals. We look forward to learning from their insights and perspectives. We would like to thank the Forum Scholarship Committee and our partners, the Association of Research Libraries, the Visual Resources Association, and the Museum Computer Network for their support of these fellows. Elizabeth Jean Brumfield is the distance services librarian and doctoral candidate in the College of Education at Prairie View A&M University. Her research interest focus on the intersection of emerging technologies and information seeking behavior. Brumfield is published in several peer reviewed journals, including: Journal of Library and Information Service for Distance Learning; Journal of Library Administration and Management; Journal of Librarianship and Information Science. Martina Dodd is an Atlanta based art historian, writer, and the Museum Education Curator for the Galleries, Libraries, Archives and Museums (GLAM) Center for Collaborative Teaching and Learning at the Atlanta University Center (AUC) Robert W. Woodruff Library. Her concept driven shows have touched on topics relating to race, gender and power dynamics. Including her most recent exhibition Black Interiors, which is an exploration of the Black aesthetic and psyche through artistic renderings of the home and stylized representations of the human form, opening this fall at Clark Atlanta University Art Museum. She has presented research, spoken on panels and curated exhibitions at the Urban Institute of Contemporary Art, Prince George’s African American Museum and Cultural center, DC Arts Center, Transformer, Flux Factory and Common Field Convening. She has published articles, exhibition reviews, and catalogue essays with DIRT, BmoreArts, Common Field’s Field Perspectives, Clark Atlanta University Art Museum, and Morton Fine Art. Dodd holds a M.A. in the Arts of Africa, Oceania and the Americas from the University of East Anglia and a B.A. in Anthropology and International Studies from Johns Hopkins University. Haiying Sarah Qian Li has more than 10 years of experiences working with varies digital projects. She is currently the Director of Library Services at Inman E. Page Library of Lincoln University in Missouri. Mrs. Li first joined the library staff as the Institutional Repository Coordinator in 2014. She helped to build and promote Lincoln University’s digital repository Blue Tiger Commons. In 2016 Mrs. Li received a Digital Imaging Grant to digitize the University Archives’ photographs and documents, which greatly expanded the amount of resources available online about Lincoln University’s history. Mrs. Li understands deeply the innovations, opportunities and challenges that technology brings to academic libraries today. She is passionate about bringing 21st century library services to the Lincoln University campus and making Page Library the center of teaching, learning, scholarship and dissemination of knowledge. Josh Hogan is the Assistant Head of the Digital Services Department at the Atlanta University Center Robert W. Woodruff Library. His primary responsibilities include taking a leadership role in a variety of digital curation activities, including digitization, metadata creation, repository management, and digital preservation. Prior to assuming this role, he was the Metadata & Digital Resources Librarian at AUC Woodruff Library and spent several years as a manuscript archivist at the Atlanta History Center. Josh is strongly interested in digital scholarship/humanities research as well as the potential uses of open source software in digital preservation workflows. Andrea R. Jackson is the Executive Director of the Black Metropolis Research Consortium, a membership organization comprised of Chicagoland repositories collecting, documenting and making accessible African American and Diasporic history and archives. She has over 15 years of experience as a professional archivist, primarily acquiring, preserving and making accessible the historical legacy of African Americans at academic institutions – including several Historically Black Colleges and Universities. Jackson is an alumna of Spelman College, New York University – with a MA in US History and Archival Management certification, and has participated in Archives and Academic Librarian Leadership Institutes. She is co-author of the article, “Funding the Future of African American Religion Archival Collections at the Atlanta University Center’s Robert W. Woodruff Library” in the Theological Librarianship Journal, and a holds membership in several archives and history professional associations. Natasha Jenkins is currently the Information Literacy Librarian at Alabama State University, where she is responsible for marketing and teaching library resources to members of the University community. Her varied interests include assessment, project management, mentoring, and succession planning. Raegan C. Stearns is a librarian and certified archivist. She is the former archivist of Southern University at Shreveport and is the owner of Cloud and Clay Cultural Preservation archival consulting company. Danielle A. Terrell received her M.L.I.S. in Library and Information Science from Clark Atlanta University in 1999. Currently, she is an Assistant Professor of Library Services and Government Documents Librarian at Alcorn State University. She serves as a mentor to all new library employees. She is dedicated to the field of library science and is always accepting of whatever task she is given. She wears many hats within the J. D. Boyd Library, such as, librarian, chair of the Friends of the J. D. Boyd Library and project manager for Alcorn archives digitization. No matter what her main goal is always to be a mentor to both, students, faculty and staff. Tiffany began her career in education 9 years ago when she began teaching 8th grade math in Charlotte, North Carolina. Her journey in education took her to the middle and elementary school library settings, and ultimately to an academic library. Tiffany’s experience in the academic library coupled with her role as a school Media and Educational Technology Instructor fueled her passion for digital resources and access to information. Tiffany currently serves as the Director of Library Services for Clinton College in Rock Hill, South Carolina. Tiffany is a firm believer that as more information comes in the digital space, students need proper exposure and training in how to navigate these resources. Tiffany’s goal in her current role is to introduce students to more digital resources and prepare them for information-gathering beyond college. As we know, there are an abundance of digital resources at our fingertips. However, in the absence of exposure and proper training in the use of this information, even Alexa can’t help us to navigate the world. Outside of the library, Tiffany can be found at church and enjoying reality TV shows (particularly Family Feud and shows on HGTV and the Food Network). She can also be found working as a Social Media Manager for entrepreneurs in her own business and whipping up delicious meals in her kitchen! Micha Broadnax is the Reference and Digital Projects Archivist at Mount Holyoke College in South Hadley, Massachusetts. As part of the Digital Assets and Preservation Services and the Archives & Special Collection teams, Micha facilitates communication and project identification, in addition to her responsibilities of providing reference, creating and contributing to digital workflows, and processing collections. She has previously worked at Converse (a subsidiary of Nike, Inc.), Harvard Law School, and Emerson College. Her areas of interest include user outreach/development, digital preservation, digitization, archival research, and project management. She is a 2013 ALA Spectrum Scholar and a 2014-2016 ARL Mosaic Fellow. She holds a M.S. in Library Science with an Archives Management concentration from Simmons College, and a B.A. in Sociology from Brandeis University. 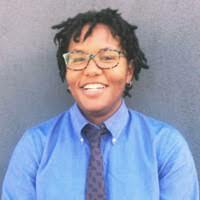 Jasmine Clark is a Resident Librarian at Temple University doing rotations in digital scholarship, library administration, digital library initiatives, and is leading a project to recreate the Charles L. Blockson Afro-American Collection into a virtual reality learning module. Her library work experience has provided experience in a variety of functional areas and departments, including metadata, archives, digital scholarship, and communications and development. She is interested in the ways information organizations can integrate inclusive practices into their services and management practices. Alicia Zuniga is the Media Library Specialist for the California Tobacco Control Program where she researches and substantiates the program’s statewide media campaigns and has been tasked with implementing an internal digital library. She is passionate about communicating scientific findings to the public in an accessible and engaging way. Her main interests include metadata, open access, and science and scholarly communication. Her previous roles include Web Coordinator for Sacramento Public Library, Senior Publications Assistant at the open access publisher, Public Library of Science, and Information Officer for the California Department of Public Health’s 2017 website redesign. She received her MLIS from San Jose State University. Adrienne is currently a Science and Data Outreach Librarian at University of Rochester River Campus LIbraries. She has a B.S. and an M.S. in Environmental Studies, and worked in environmental conservation and education before returning to school for her MSLIS. 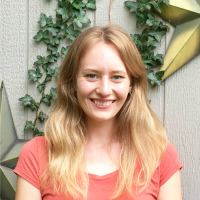 She enjoys joining her love for science education and outreach with information literacy, and is fascinated by how data is changing the science and educational landscape. She likes to hike with her dog, has planted hundreds of trees, and of course enjoys reading. Jay Colbert is the current Resident Librarian at the University of Utah’s J. Willard Marriott Library. Their responsibilities include subject liaison work, reference, and library instruction along with metadata and cataloging duties, primarily for the digital library and digital exhibits. Their research investigates the relationship between language and power in libraries, particularly in subject access and descriptive cataloging. Jay received their MSLIS from the University of Illinois at Urbana-Champaign and their BA in English from the College of William & Mary. They are also active within the ALCTS CaMMS division and GLBT Round Table of ALA, and OLAC. In their free time, they watch too many movies, practice Buddhism and yoga, and hang out with their bearded dragon. Bryan Dosono is a PhD Candidate in Information Science and Technology. He employs social network analysis with qualitative research methods to explore, interpret, and visualize large collections of social media data. He seeks to understand how Asian Americans and Pacific Islanders (AAPIs) construct and express their identity in online communities and his dissertation research uncovers the ways in which AAPIs negotiate collective action in the context of online identity work. Learn more about his research at http://www.bdosono.com/. Steve Lapommeray is a Programmer Analyst in the Digital Initiatives team at the McGill University Library, working on deployment automation, websites, and supporting their ILS. At his first DLF Forum, he looks forward to learning from and collaborating with other professionals in the digital library field. He is excited to have the opportunity to learn more about digital library projects, gain skills that he can apply at his library, and break out of the silos that separate librarianship from application development. Dominique Luster is the endowed Teenie Harris Archivist at the Carnegie Museum of Art. The Teenie Harris Archive looks to build a world-renown archive, that is uniquely hyper-specialized on the life of African Americans in the mid-20th century, and consists of almost 80,000 images dating from the 1930s to the 1970s. Luster’s work with the Harris Archive looks at innovative uses of information and computational archival science for public engagement. Additionally, Luster’s research looks at various historiographical approaches to culturally competent, racially conscious archival practices. Previously, Luster worked as a Liaison Librarian for the University of Pittsburgh. Margo Padilla manages services, programs, and initiatives related to archiving and born-digital stewardship for the Metropolitan New York Library Council (METRO). She serves as the primary contact with archives in the METRO region and designs and implements archives-related services in Studio599. Before joining METRO in 2014, she was a resident in the inaugural cohort of the National Digital Stewardship Residency program. Prior to that, she worked at The Bancroft Library at the University of California, Berkeley on digital projects and initiatives. Margo received her MLIS with a concentration in Management, Digitization, and Preservation of Cultural Heritage and Records from San Jose State University and her undergraduate degree from the University of California, Berkeley. MCN affiliate Rachael Winter Durant is the Digital Assets Manager at the Portland Art Museum, where she implements the workflows and determines the long-term strategies for digital delivery and preservation of cultural heritage information. She places deep value in utilizing standards and procedures that allow people and institutions to engage digitally with cultural objects and preserve these assets for the future. To promote this engagement, she has chosen three primary areas to focus her early career professional development: digital accessibility, the description of visual resources, and digital preservation. As a member of the Museum Computer Network (MCN), she’s excited about the opportunity to attend DLF Forum 2018 and NDSA Digital Preservation 2018 and to engage with colleagues outside of the museum field who are also active practitioners working and innovating around these issues, specifically through the lens of librarianship. VRA affiliate Chris Day is the Digital Services Librarian at the Flaxman Library of the School of the Art Institute of Chicago. He started at SAIC in 2008, managing the library’s first digital collection, the Joan Flasch Artists’ Books Collection. In 2011 he oversaw the the deaccession of the 35mm slide library and the start of a local repository, now featuring over 200,000 images, of digital art images for teaching. The past year saw the migration of 13 digital collections from ContentDM to Islandora, which now features 4 new collections and over 26,4000 digital objects. Ramy is an environmental health scientist/public health practitioner who works on technology engagement for public interest and science outreach for global collaboration and knowledge-sharing. Her environmental justice projects involve place-based understanding of open civic data, air quality, and lead contamination rooted in participatory methods, and community science. As the Community Organizer and Steering Committee member for OpenOakland, a local Code for America Brigade, she extols the virtues of open data and seeks practical ways to make them most relevant to all. She is a conscious data-pusher: for personal empowerment and for policy change, and recognizes that this work cannot be done without the active partnership of local libraries. She is also the President of Counter Culture Labs, a community biohacking space in Oakland, where she works with the worldwide collaborators for the equitable development of an open source insulin protocol and drug distribution, intended for the commons. To slow down, Ramy enjoys gardening and scheming for better post-capitalist futures. John is San Mateo County’s Open Data Community Liaison in the Information Services Department where he’s managed the open data program since 2014. In 2017, StateScoop named John one of the 20 Open Gov Leaders You Need to Know (https://statescoop.com/monthly/open-gov-leaders-you-need-to-know-4). Before working for San Mateo County, John was a Data Curator at Urban Mapping, a mapping and data startup in San Francisco, and worked at the Map and GIS Data at the UC Berkeley Earth Sciences and Map Library. He lives in Oakland, CA where he brews beer, plays experimental electronic music, and cajoles his family to go hiking with him in the East Bay hills. Jie Wu is the director of research management at Rice University’s Kinder Institute for Urban Research. She provided project management and conducted research for studies such as the Houston Area Asian Survey; the Survey on Health, Education, and the Arts (the “SHEA” Study); Migration and Urban Growth project; and the Opportunity Youth study. Currently, she leads the Houston Community Data Connections and the Urban Disparity and Opportunity programs, supervises the Community Bridges program, and manages the Kinder Houston Area Survey and the Affiliated Researchers Program. In addition, she serves on the oversight committee for the Kinder Urban Data Platform. Wu has published a series of reports on survey research, and is a member of the American Association for Public Opinion Research and the Community Indicators Consortium. Her research interest focuses on public opinion, urban inequality, workforce development, migration and economic growth. She holds a master’s degree in economics from Rice University and a bachelor’s degree in economics and business administration from Shanghai International Studies University.